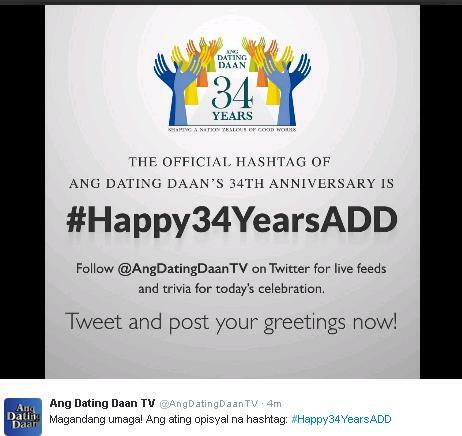 The longest running religious program, Ang Dating Daan started its broadcast as early as 1980. Since then, the program continued to serve its audiences and to stay connected with the ever changing time and technology, Ang Dating Daan used the internet in propagating the word of God. Coinciding this event is a very special edition of Ang Dating Daan Worldwide Bible Exposition at the Smart Araneta Coliseum on October 30, 2014, jam-packed with guests and Bible enthusiasts joining the celebration.